What Happens When You Get Advice from Business Press? Check out Media SharkTank 2017 Results! The Annual Media SharkTank Charitable Event, now having run for its seventh year, allows tech marketing executives to test their business pitch with a group of well-respected business and broadcast media. The purpose of the event is to allow them to test their pitch in a safe and controlled environment, so when they do get a real chance to pitch a story, they are confident they can be successful. This year we held the event on October 12 at San Francisco’s Hotel Vitale, and 12 executives delivered their three-minute pitches in private rooms. 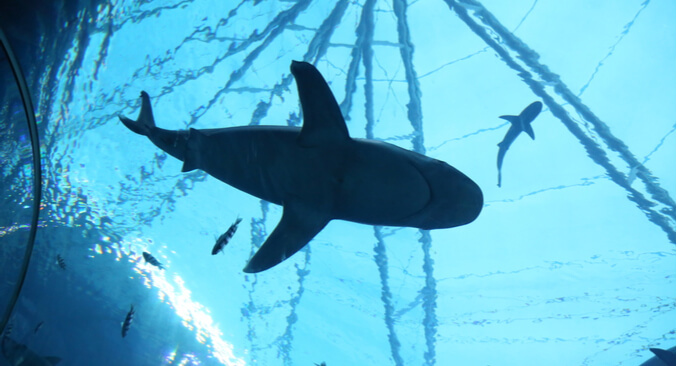 The ‘sharks’ provided valuable 1:1 feedback that the executives were then able to use in their next pitch (as they actually pitched two rooms of journalists at the event). The returning sharks (yes, many of these journalists volunteer every year for this event) said that the quality of pitches was at an all-time high – and that they really enjoyed the opportunity to work with these executives. The primary piece of feedback the sharks gave to the executives was to provide some tangible examples of how their technology helped solve a real-world challenge, or helped make their customers’ lives easier. Nothing is more valuable to the business press than being able to draw a clear line of sight between a problem facing the general public and a company providing a practical solution. When executives were not pitching to the business press, they socialized and enjoyed fun activities presented by TapSnap, a green screen photo booth service, Jon Casey’s Caricatures, and even a magician. At the end of the pitching process, the judges tallied the scores based on the pitches they heard as the crowd awaited the results. The top three companies to make the final round were Agiloft, Coresystems, and Reputation.com, which entitled them to deliver their pitches to the entire crowd. At that point, we “crowd sourced” the voting for the top pitch by registering the volume of cheers (via software) from the crowd for each participant. In the end, Coresystems, pictured below, took home the top honors. In order to participate in the event, each firm agreed to donate to the San Francisco Baykeeper organization. Baykeeper has worked to stop pollution in the San Francisco Bay for more than 25 years. They have been a staple in keeping the San Francisco water clean, the ecosystem healthy, recreation safe, and have maintained conditions where the wildlife can thrive. SharkTank was able to raise $15,000 for the organization this year, marking the seventh year of 10Fold’s support for them! All in all, the Media SharkTank was a blast for 10Fold and all of our guests. We would like to extend a special thanks to all of our participants and the media sharks who made this event happen!